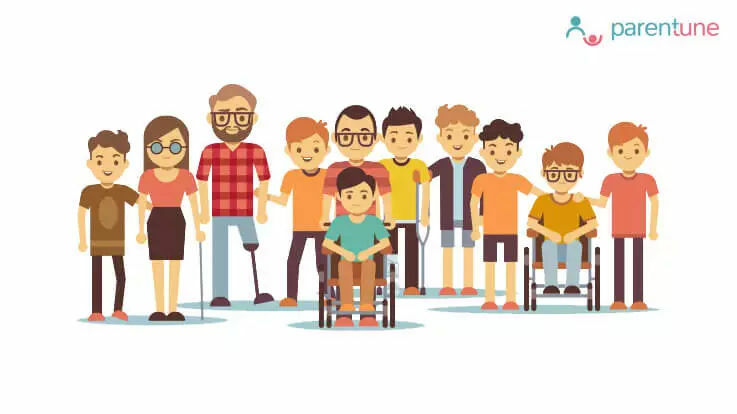 A full understanding of disability recognises that it has a powerful human rights dimension and is often associated with social exclusion, and increased exposure and vulnerability to poverty. Disability is a human rights issue. How do we, as a socieity deal with it? Do you agree to the fact that specially challenged people do not just need courtesy and compassion, but the real empowerment would come through education? According to recent statistics, from about 12 million disabled children in India, only 1 per cent go to school. Unfortunate, isn't it? How Big Is The Number Of Disabled Children, Worldwide? 90% of children with impairment do not live beyond 20 years of age, says CRIN. Children with disabilities face discrimination not only in services but also in the justice system as they are often not considered credible witnesses. The right to education is available to all citizens including the disabled. Article 29(2) of the Constitution provides that no citizen shall be denied admission into any educational institution maintained by the State or receiving aid out of State funds on the ground of religion, race, caste or language. Article 45 of the Constitution directs the State to provide free and compulsory education for all children (including the disabled) until they attain the age of 14 years. No child can be denied admission into any education institution maintained by the State or receiving aid out of State funds on the ground of religion, race, casteor language. Article 47 of the constitution imposes on the Government a primary duty to raise the level of nutrition and standard of living of its people and make improvements in public health - particularly to bring about prohibition of the consumption of intoxicating drinks and drugs which are injurious to one’s health except for medicinal purposes. 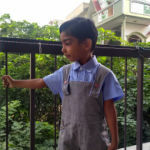 The health laws of India have many provisions for the disabled. Some of the Acts which make provision for health of the citizens including the disabled may be seen in the Mental Health Act, 1987. This scheme aims at setting up Disha Centres for early intervention for Person with Disability (PwD) in 0-10 years of age covered under the National Trust Act, through therapies, trainings and providing support to family members. This scheme aims at setting up Samarth Centres for providing respite and residential care of the specified categories of Persons with Disability (PwD). This scheme aims at setting up Gharaunda Centres for life long shelter and care of Persons with Disability (PwD) covered under the National Trust Act. This scheme aims at setting up Care Associate Cells (CACs) to provide training and create a skilled workforce of care associates to provide adequate and nurturing care for Person with Disabilities (PwD) and their families who require it.It also seeks to provide parents an opportunity to get trained in caregiving if they so desire. This scheme will provide a choice of training through two levels of courses to allow it to create care associates suited to work both with families of persons with Disabilities (PwDs) and other institutions catering to the needs of the PwDs (NGOs, work centres etc.). This scheme aims at providing funds to participate in events such as exhibitions, melas, fairs, etc. to sell the products made by PwDs. The scheme also provides an incentive to the Registered Organisation (RO) based on the sales turnover of the products made by PwDs. This scheme aims at setting up of one Sambhav Centre in each city of India with population greater than 5 million (As per 2011 census). This scheme supports Registered Organisations (RO) of the National Trust to carry out activities that focus on increasing the awareness of the the National Trust disabilities. Barriers built by disability can only be removed by the concerted and integrated effort of the government, NGOs, corporates, movie makers and educational institutions. It is the duty of the rest of society to acknowledge the rights of the disabled and the poor. This can no longer be treated as philanthropy but is a responsibility. Do you agree with my thoughts? Do drop a line in the comments section below, support and share this blog with fellow parents and friends. Multiple Intelligence and Little Einsteins Prescho..